80-100°C which is a great idea to strengthen the weakened body. For those hardened, after leaving the sauna we suggest using the external rain shower or immerse in the nearby icy stream. 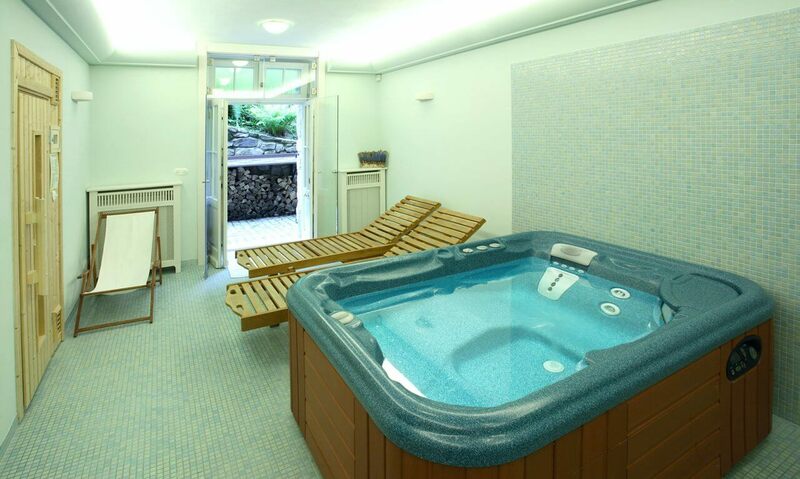 Jacuzzi – relax in the whirlpool bathtub ensures recovery, will massage, relax and reduce muscle tension. – Turkish Steam Bath – is a real pleasure. Hammam regenerates the body and soul. You can experience the most peaceful moments ever. The Hammam ritual is a bathing ceremony. Frequent spraying with lukewarm water at temperature not exceeding 45°C and humidity reaching up to 100% combined with the prevailing atmosphere of the place provide the effect of complete relaxation and inner silence. In the Hammam, you can also use the automatic massage chair choosing among various available massage programs. Massages and body treatments performed by the wellness and rehabilitation specialist (the full offer is presented below – requires prior reservation at the reception).